How much is Bengie Molina Worth? Bengie Molina Net Worth: Bengie Molina is a former Puerto Rican professional baseball player who has a net worth of $13 million. Born Benjamin Jose Molina in 1974 in Rio Piedras, Puerto Rico, Bengie Molina made his Major League Baseball debut on September 21, 1998 for the Anaheim Angels. The right-handed catcher played with the Anaheim Angels and the Los Angeles Angels of Anaheim from 1998 until 2005 before playing with the Toronto Blue Jays for one season in 2006. Molina then went on to play for the San Francisco Giants from 2007 until 2010. He also briefly played with the Texas Rangers during the 2010 season before his retirement, which came after he spent much of the 2011 season as a free agent. 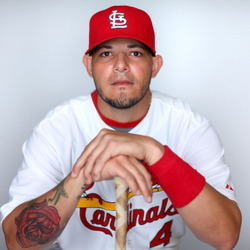 Molina finished his pro playing career with a .274 batting average to go along with 144 home runs and more than 700 runs batted in. He won one World Series championship as a member of the Angels in 2002. 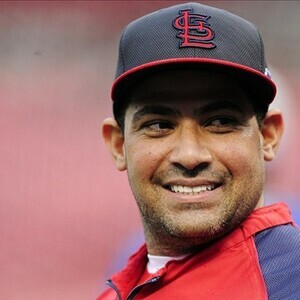 Molina is a two-time MLB Gold Glove Award winner in 2002 and 2003. Since his retirement, he has worked as a coach for various MLB teams, first with the St. Louis Cardinals in 2013 as an assistant hitting coach and later with the Texas Rangers, where he works as a first base coach.